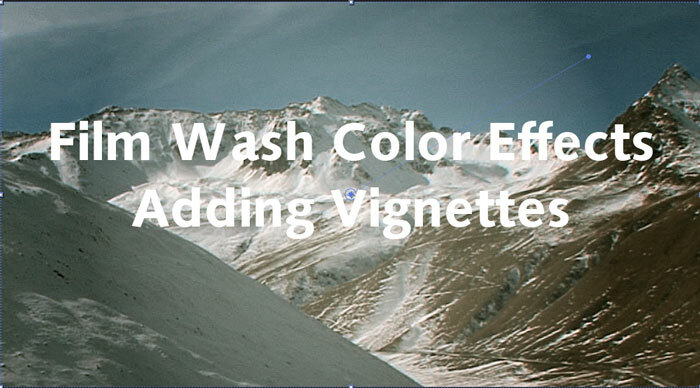 Applying and Adjusting Film Wash vignettes and Sky Enhance found in selected Film Wash for After Effects collections. Make sure no other layers are selected. Double-click the type of Vignette or Sky Enhance you wish to apply. Use the on-screen controls to change the placement (1) and size (2) of the vignette. Change the opacity (1) and set the blend mode (2) if required, to improve the look of the effect. If you need a non-uniform scale, then adjust the Scale of the layer. To animate the vignette, twirl down Contents > Vignette > Gradient Fill. Set keyframes on Start Point and End Point. Now you can animate using the on-screen controls.